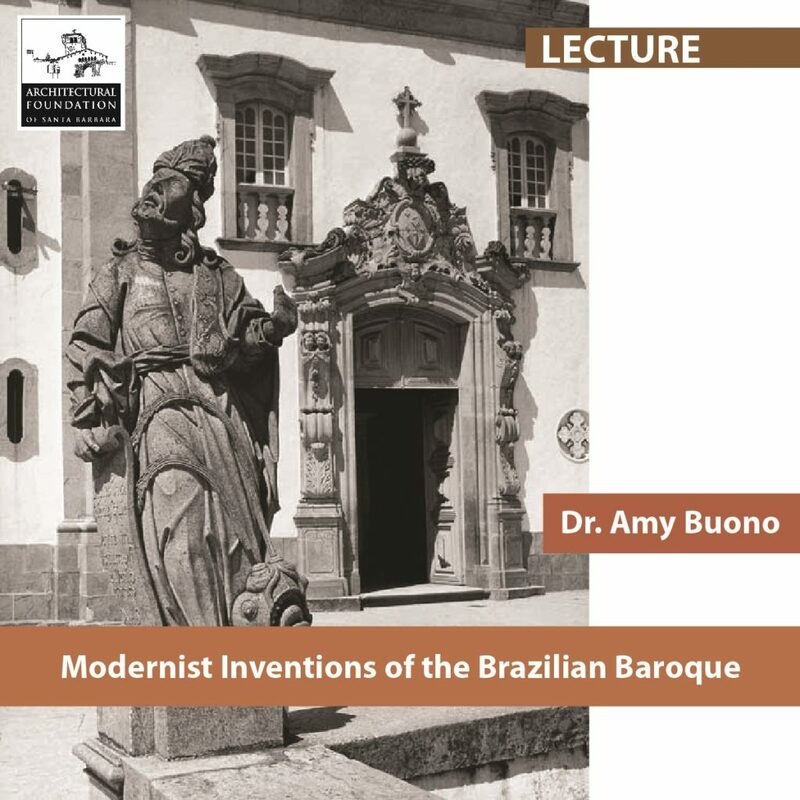 This talk explores how the “Brazilian Baroque” was reinvented by leading intellectuals and architects in mid-twentieth century Brazil as a forerunner of a national modernist architectural idiom. We will see some of the most important late eighteenth- and early nineteenth-century Baroque churches, and consider how these buildings, during the Getúlio Vargas dictatorship, served to support nationalist politics through the construction of a “Brazilian” architectural lineage. In the process, Baroque architecture and sculpture in Brazil, particularly the works of “Aleijadinho” [Antônio Francisco Lisboa] (1730/8-1814) with the works of leading modernist architects and planners, such as Oscar Niemeyer (1907-1912) and Lúcio Costa (1902-1998). There is a suggested donation of $10.00 to attend the lecture. There are 32 seats available for the lecture. Tickets will be sold on a first-come-first-served basis via Eventbrite, at the door, or by calling 805-965-6307. This entry was posted in Lectures by afsb. Bookmark the permalink.